This past weekend we were at Costco and found that they are already displaying Christmas and Holiday items. 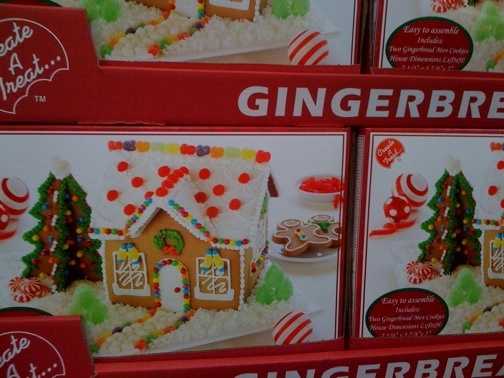 We spotted this Gingerbread House kit. Better get yours soon as we know what its like when they are all sold out! Gingerbread House Kit with Holiday Tree $9.89. Easy to assemble.